MacDonald Training Center (MTC) was founded in 1953 by J. Clifford MacDonald and a group of visionary parents of individuals with disabilities. At a time when the only alternative to being sent to a state institution was to sit at home and do nothing, these individuals rejected both options and proceeded to create innovative educational, vocational and residential alternatives. Their efforts led to one of the first pre-schools in our nation for children with disabilities. Mr. MacDonald received the Presidential Medal of Freedom in 1964 for his advocacy for people with disabilities including serving as Chair of the National Committee for Vocational Rehabilitation and Employment. MTC continues to follow in his footsteps as a leader and innovator in educational, vocational, residential and employment services to people with disabilities. We believe it is a privilege to serve individuals with disabilities. We believe the people we serve are productive, contributing and valued members of our community. We believe the people we serve should be afforded opportunities to give back to their community. MTC is an organization that is dedicated to continuously improving the quality of the vocational, employment and residential services we have been providing to people with disabilities in the Tampa Bay area for over 60 years. Businessman and philanthropist, he has directed his concern to the quiet but noble work of enlarging the lives and opportunities of the physically and mentally handicapped. President Lyndon B. Johnson awarded MacDonald a posthumous residential Medal of Freedom with the above citation during White House ceremony December 6, 1963. Mrs. MacDonald received the award for her late husband . MacDonald had been elected as a medal recipient earlier in 1963 by President John F. Kennedy, who was assassinated shortly before the award ceremony. J. Clifford MacDonald, whose mother was a writer, was born in Alexandria, Virginia, in 1902. After studying journalism at Columbia University, he worked first as a newspaper reporter and then published his own newspaper, The Spectator, in Saint Petersburg, Florida, during the 1920’s. Moving to Tampa in 1926, he started the MacDonald Printing Company there and managed the plant until 1959, when a stroke forced him to retire. 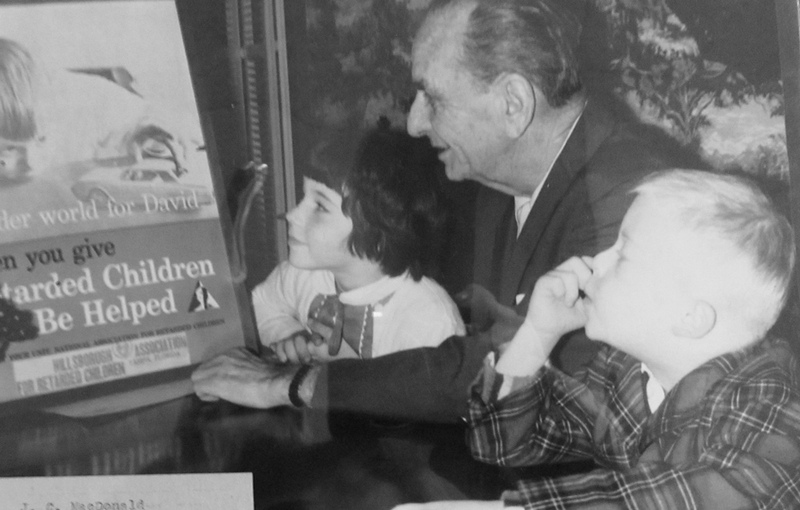 MacDonald began working in behalf of handicapped children in 1942 after learning his only son was retarded. He founded the Hillsborough Association for Retarded Children in 1953 and, with help from other local groups, opened the MacDonald Training Center in Tampa. Three years later the center became part of a national research program on training retarded children. 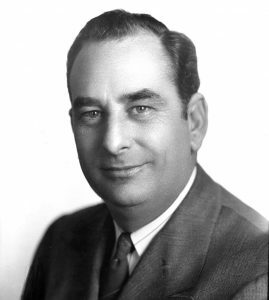 MacDonald went on to organize the Florida State Council for Retarded Children, and from 1955 to 1957 he served as president of the National Association for Retarded Children. He also worked as chairman of the National Committee for Vocational Rehabilitation and Employment. President John F. Kennedy announced MacDonald’s selection for the Medal of Freedom in July 1963, but sadly neither man lived to see the presentation itself. The ailing Floridian died of a stroke just weeks after the announcement, at age sixty-one, and President Kennedy died after being struck by an assassin’s bullet that November.